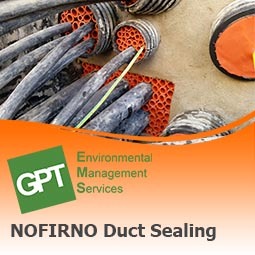 GPT are one of CSD’s “Experienced Installers” for the NOFIRNO cable/pipe entry sealing products. 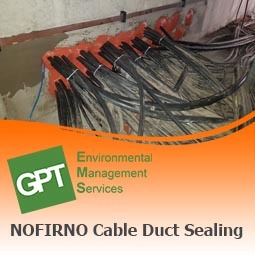 CSD NOFIRNO is a mastic type product which bonds to the cable and the duct wall, and when properly installed, forms and impermeable seal, leaving the duct water and gas tight*. The high bonding strength and elasticity of the sealant provides a flexible seal which resists movement, shock and vibration, as well as high pressure. 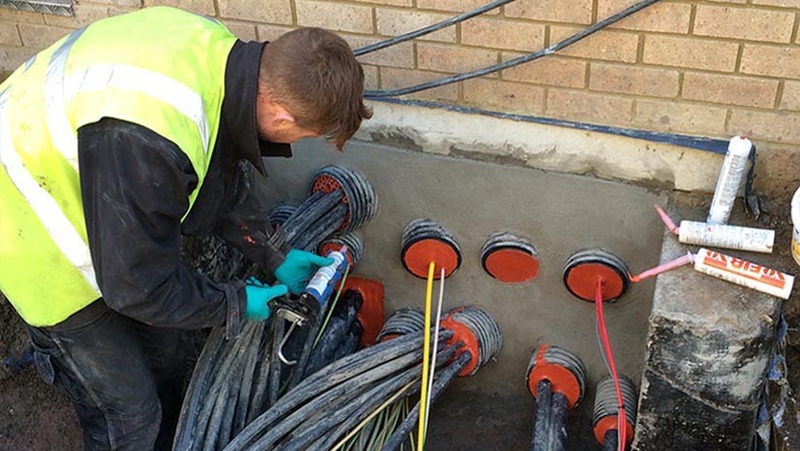 It is a well-established product which is used or specified by most UK utility companies. The CSD system is fantastic at sealing ducts which have been poorly installed, or have been installed without any forethought of water ingress. 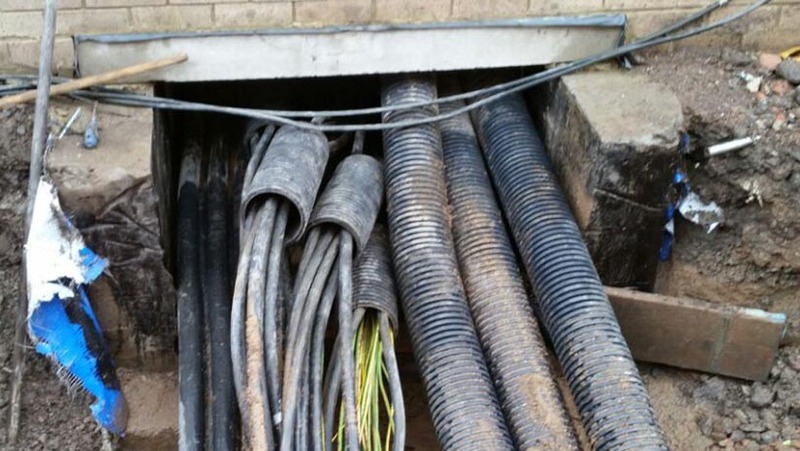 Whereas mechanical systems require the ducts to be in a good condition and (almost) perfectly round the mastic type product can be installed in entries of any condition. 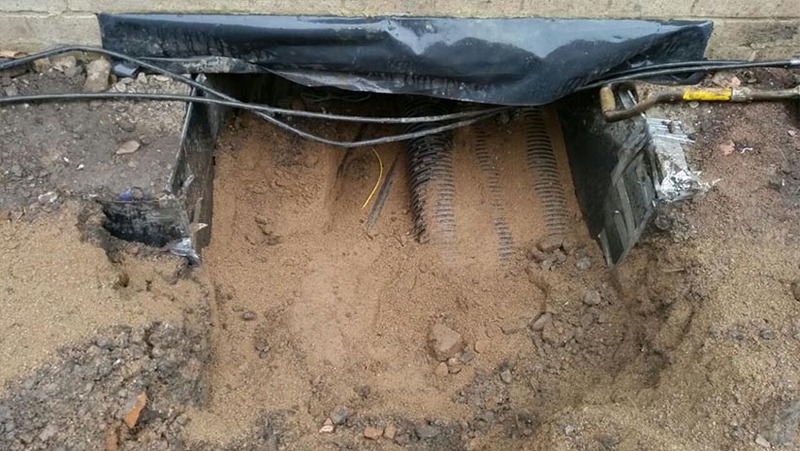 See our sealing failed cable entries page for some of our more difficult installations. 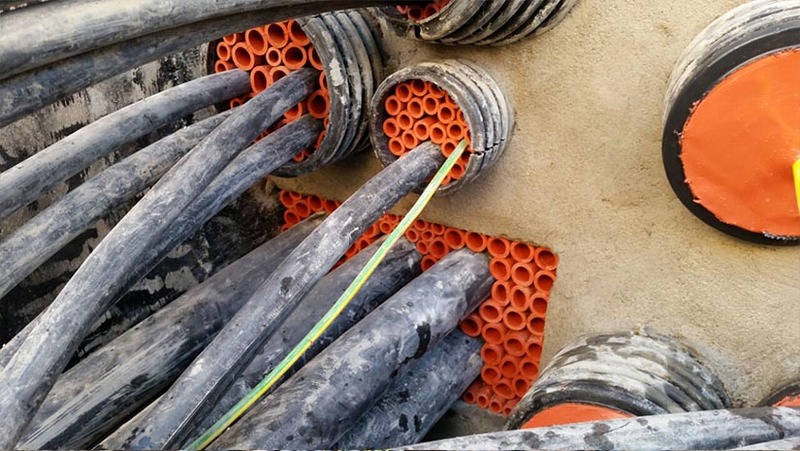 The NOFIRNO system allows for easy adding or removal of cables. 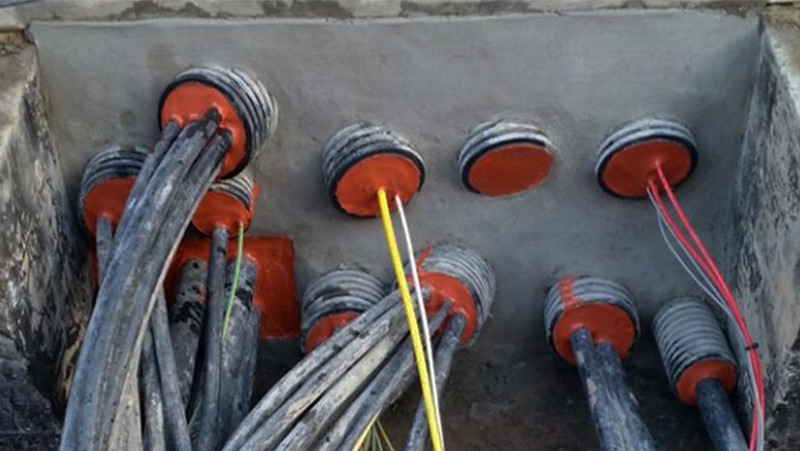 Simply core out a section of the seal and run the new cable/pipework through. The sealant is then applied around the new cable to re-seal. There is no need to disassemble the whole transit. There is a fire rated system which can maintain integrity for up to 4 hours (tested in accordance with BS EN1366-3). The CSD products come in a range of specifications to meet the requirements of the individual project.